Prize for Honesty and Bravery work in Bangladesh Police. This Prize name is PPM Medal, Full form is President Police Medal. This medal has some special character. If you carry this medal with you, you can not salute anyone. Only President and Prime Minister and this categories people can take salute from you. It has very respectful power. 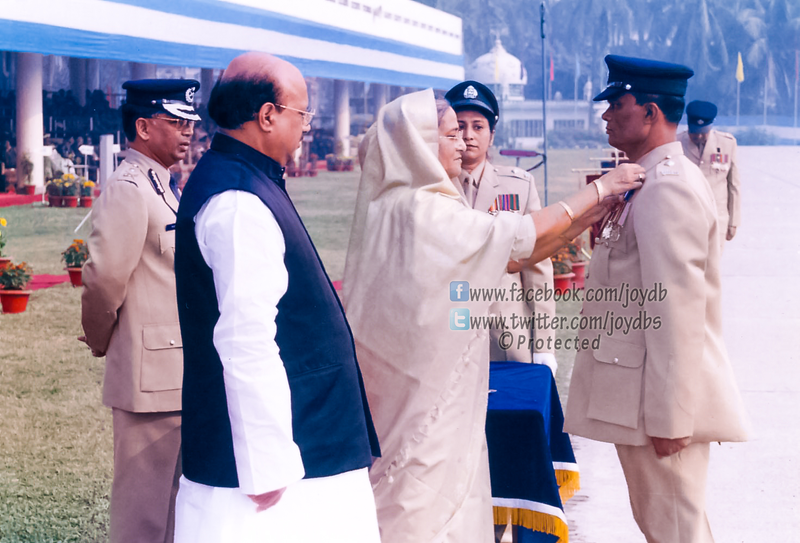 In This Photo: Bangladesh Prime Minister Sheikh Hasina, Awami League Leader MP Nasim, Police IGP. Location: Rajarbag Police Line and Police Academy, Dhaka, Bangladesh.